This weekend was all about the european honey bees at the 94th Annual Florida State Beekeepers Association Conference hosted by the Palm Beach Beekeepers Assoc in West Palm Beach, FL, who did a fabulous job. 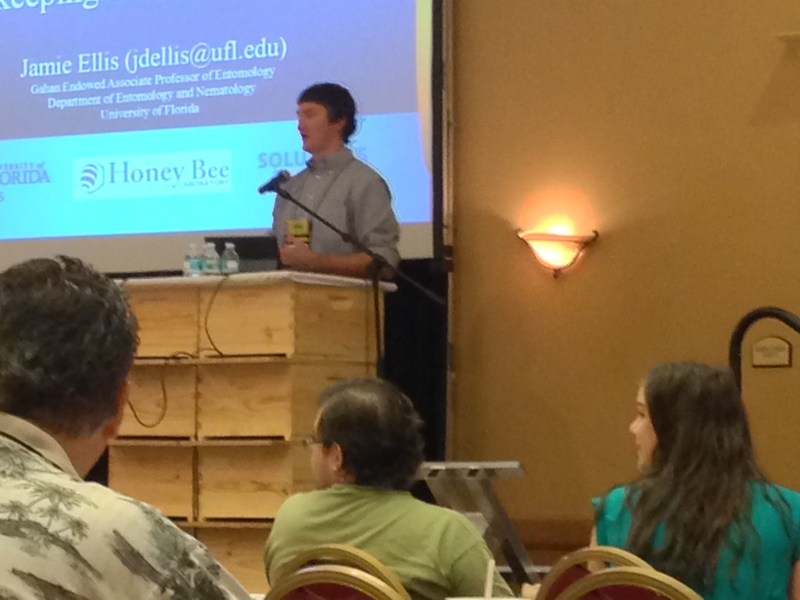 Highlights included Dr. Jamie Ellis kicking off the conference on Friday morning with a presentation on the Honeybee Research at the University of Florida and later going through hives on the roof top apiary. 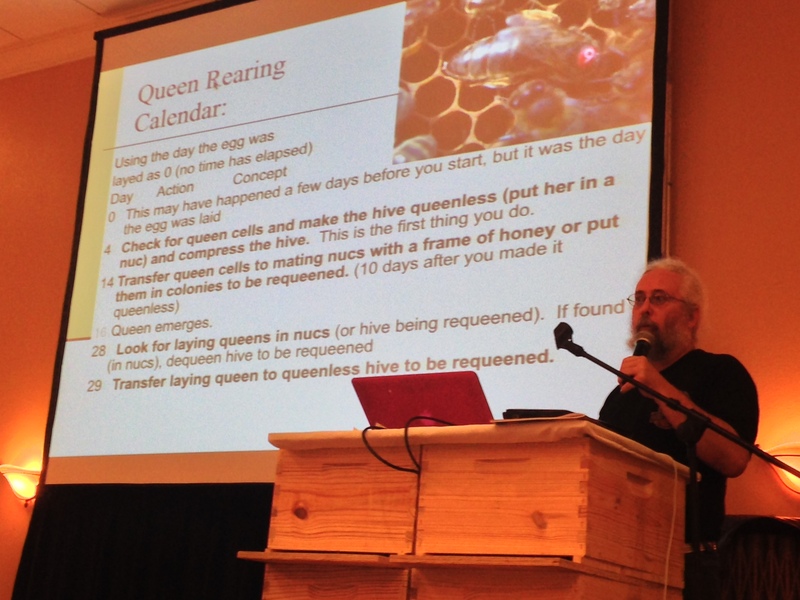 On Sunday, Michael Bush of Bush Farms finished things off with his Queen Rearing presentation as well as lunch presentation on Natural Beekeeping. 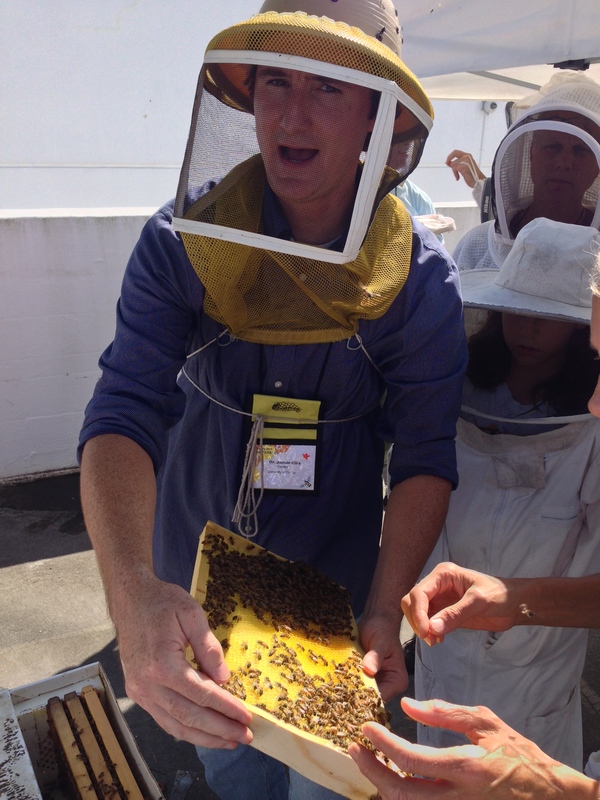 Can’t wait to go again next year and I hear it will be hosted by Palm Beach Beekeepers again….keep up the good work! This entry was posted in Apiary by greenviewap. Bookmark the permalink.